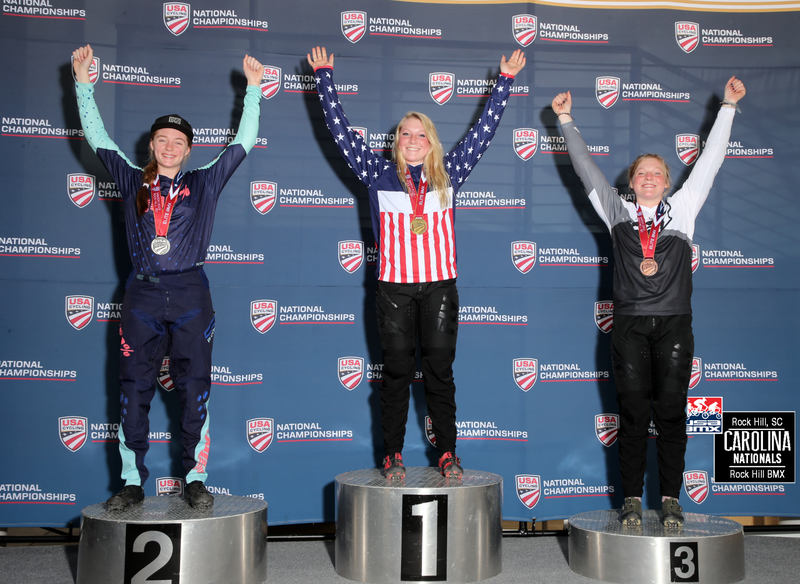 (Rock Hill, S.C.)- Four National Champions were crowned Friday, March 29, 2019 at the 2019 USA Cycling BMX National Championships at the Rock Hill BMX Supercross Track in Rock Hill, S.C. The event was held in conjunction with USA BMX’s Carolina Nationals. 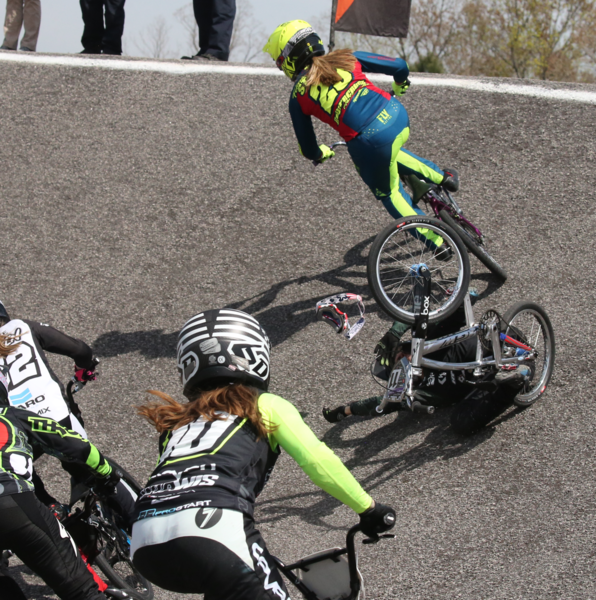 In the Junior Women’s category, the winner was calculated at the end of the three motos* for total points. The podium was a family affair with sisters Emily and Ashley Hayes (Colorado Springs, Colo.) earning first and third places respectively. Payton Ridenour (Pottstown, Penn.) took the silver medal to round out the podium. 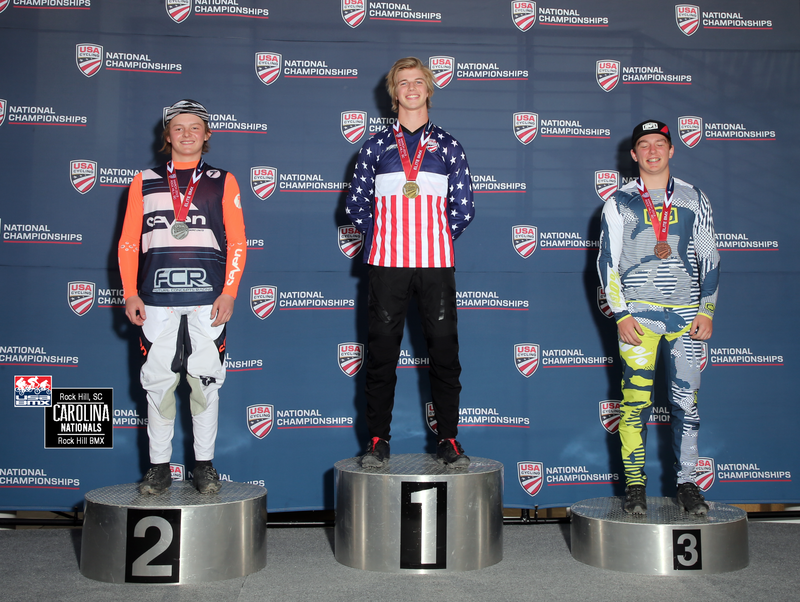 For the Junior Men, Spencer Cole (Palm Harbor, Fla.) made his comeback after recovering from a broken wrist and ankle at the end of 2018 to win the National Title. Darian Toureene (Fort Collins, Colo.) and Cameron Mason (Huntersville, N.C.) took silver and bronze respectively. 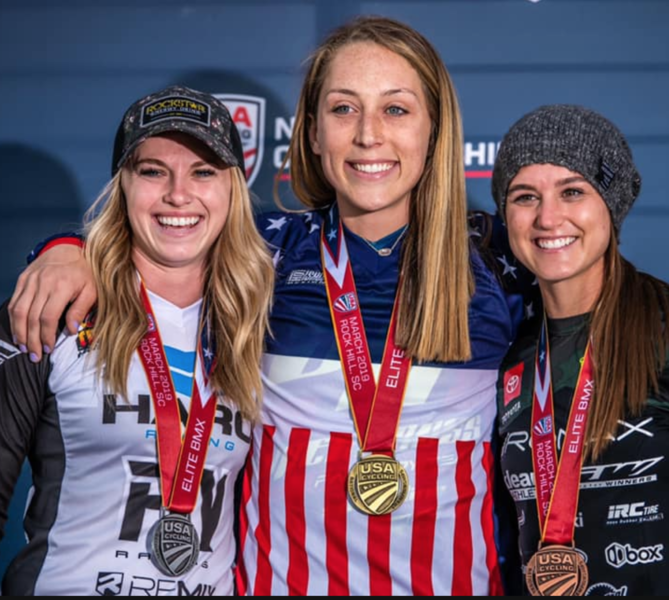 For the first time since 2011, we saw a new face atop the podium in the Elite Women’s Category. Felicia Stancil (Indianapolis, Ind.) won gold. 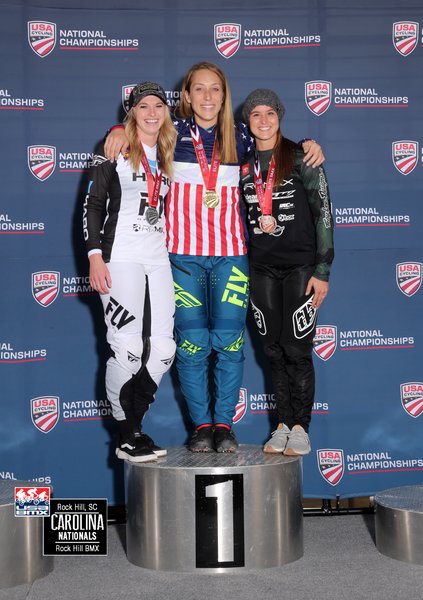 Brooke Crain(Visalia, Calif.) took second after winning the first moto and placing second and third in the following motos. 8-time National Champion Alise Willoughby (Chula Vista, Calif.) fought back from a crash in her first moto to win her second moto and place second in her third to claim the bronze medal. 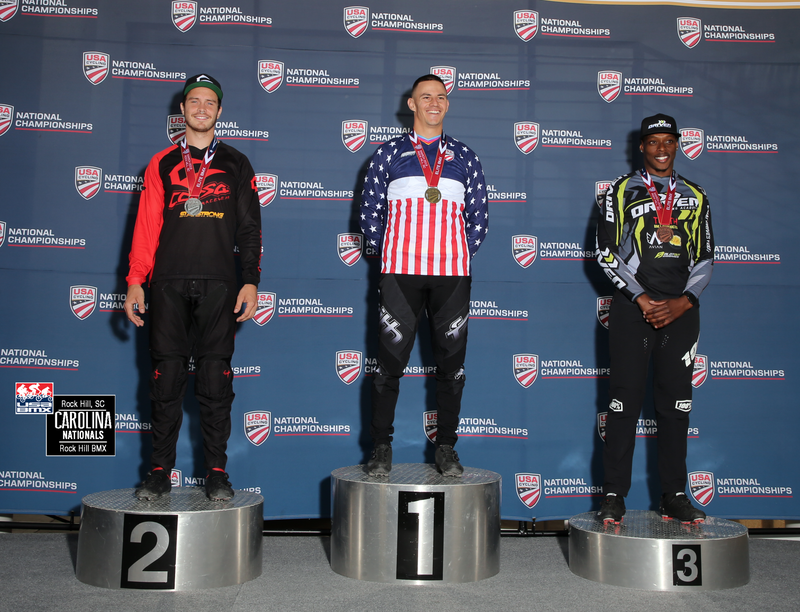 In the Men’s Elite Category, Corben Sharrah (Tuscon, Ariz.) proved to be untouchable. After winning all of his motos, he came out of the gates in his main ahead and never looked back, securing another National Title. Jeremy Smith (Dayton, Ohio) placed second and Jefferey Upshaw (Dayton, Ohio) placed third. 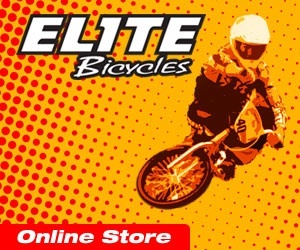 The next USA Cycling National Championships to take place will be Collegiate BMX National Championships in DeSoto, Tex. April 6-7. 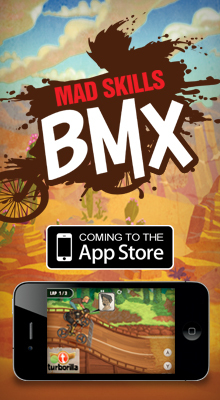 *In BMX racing, the term “moto” is used for qualifying rounds and the term “main” is synonomous with final. 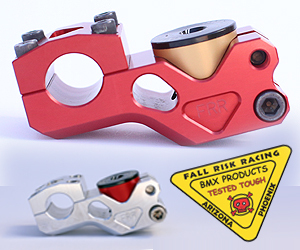 In some instances, depending on the size of the field, they will race three motos and calculate the winner based off of points instead of running a main. 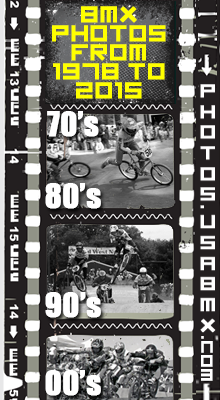 For more information, contact Kelly Fox at kfox@usacycling.org.